A doctor attends to many patients in a day thereby making it difficult to remember the case history of each patient. Thus, a progress note would be of great assistance to him to determine the course of treatment. The note includes the details of the prescribed drugs as well. He would be in a position to monitor the progress of the patient in a better manner. The samples of the Promissory Note Templates could be of great use for its easy preparation. 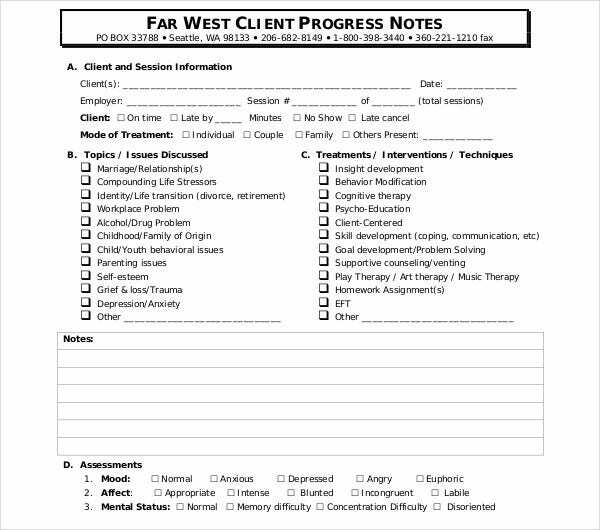 This is a template of the counseling progress note detailing the individual sessions of the client with regard to data, assessment, and plans for implementing the same. 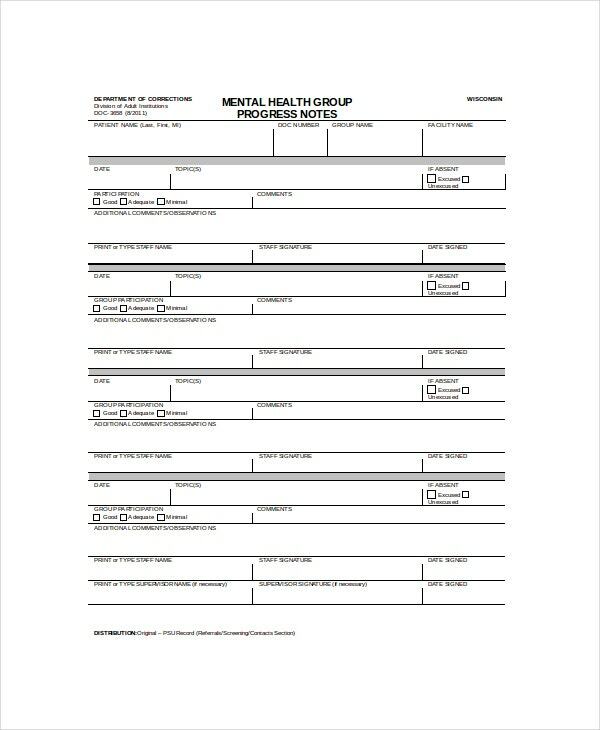 The therapist can use these counseling notes to monitor the progress of the clients. He can make his changes accordingly. You may also see Note Templates in Word. 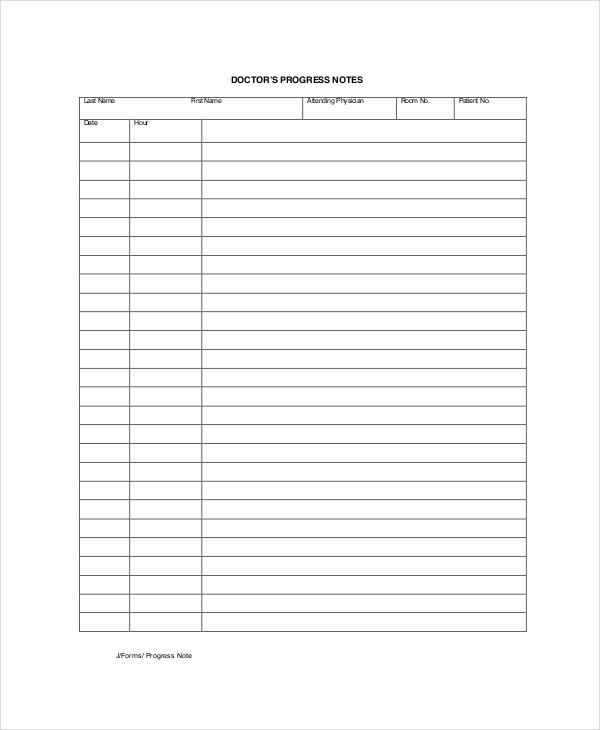 This document is a sample template of a social work progress note. The therapist lists down his findings of the patient in the set format. This would enable him to take corrective measures to improve the condition of the patient. It lists down the tangible needs, his behavioral changes for assessment as well as the line of treatment. You may also see Reminder Note Templates. 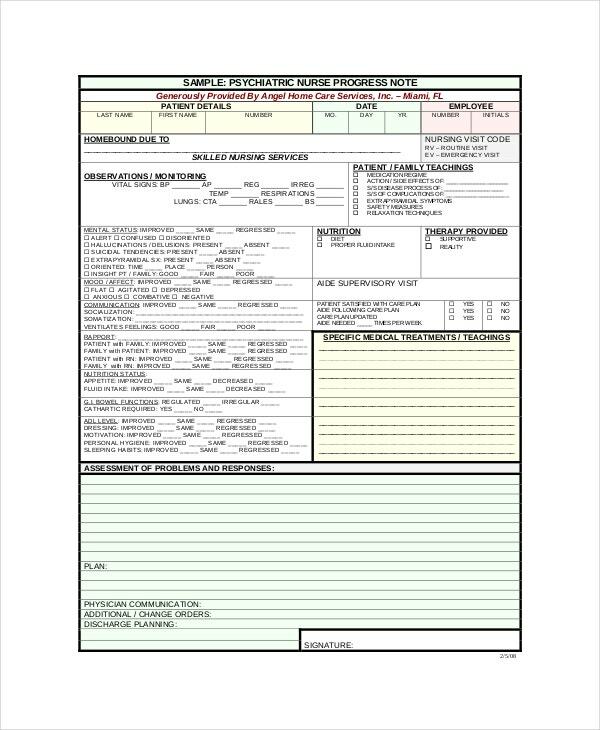 This is a template of the nursing progress note enabling the nurse to keep track of the patient history. This would enable the doctors treating the patient to have concrete information about the status of treatment in hand. This is useful for monitoring the progress of the patient as it assesses the problems of the patients and his responses to the line of treatment. You may also see Briefing Note Templates. 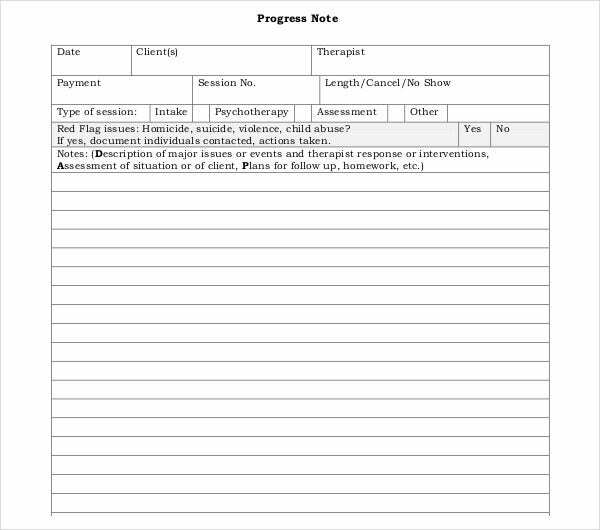 This document is a sample template of the psychotherapy progress note of the sessions conducted on the patients. It gives a comprehensive report of the symptoms shown by the patient and the therapeutic techniques employed by the psychologist to counter the same. It also includes the responses of the patient to the treatment methods. This is the sample of a medical progress note of the patients. 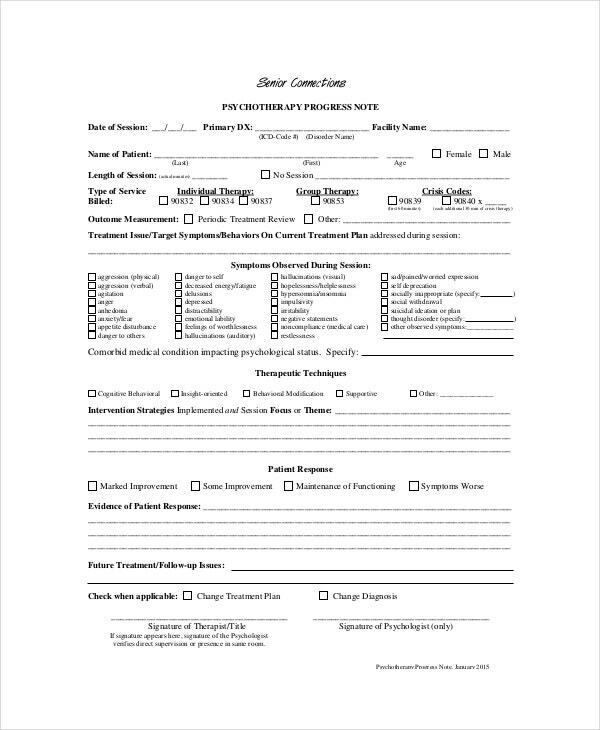 You can observe the usage of these notes at hospitals and clinics where the nurses and the doctors record the progress of the patient to the treatment methods. This would enable the doctors to have a clear idea about the response of the patient to the line of treatment. He can plan accordingly. How is the Progress Note used by a Physician? The progress notes give a perfect indication to the physician about the response of the patient to the line of treatment. This would give a clear indication to the physician as to whether he should continue the same line of treatment or change the course. It would also benefit the physician, as the note would list out the allergies to the medications if any. 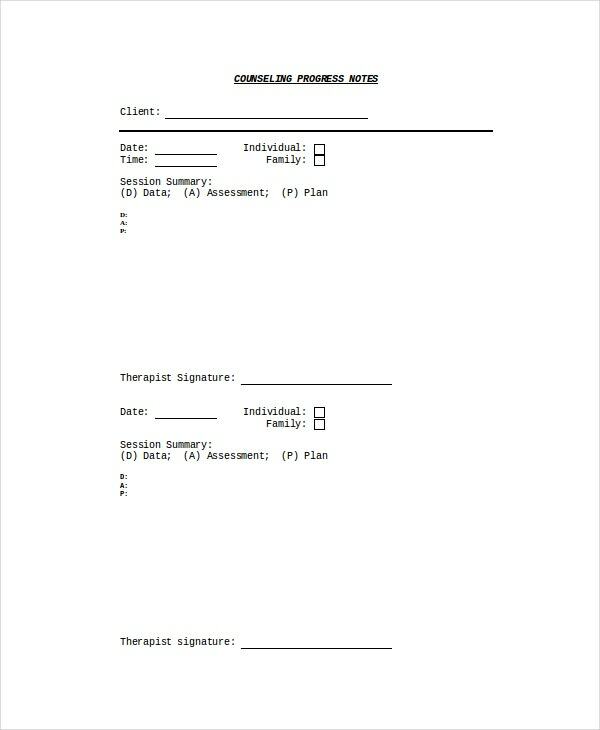 You may also see Blank Promissory Note Templates. The physician notes down the complications to the patient because of the medications used during the course of the treatment. This helps the physician to change the dosage of the medicines if required. This is a very important document from the treatment point of view. What is the Purpose of a Progress Note? The purpose of the progress note is to judge the response of the patient to the medications and line of treatment. The progress note can help the doctor to alter the course of medicines or change the line of treatment as well. This would be of great use to the physician to monitor the progress of the patient. 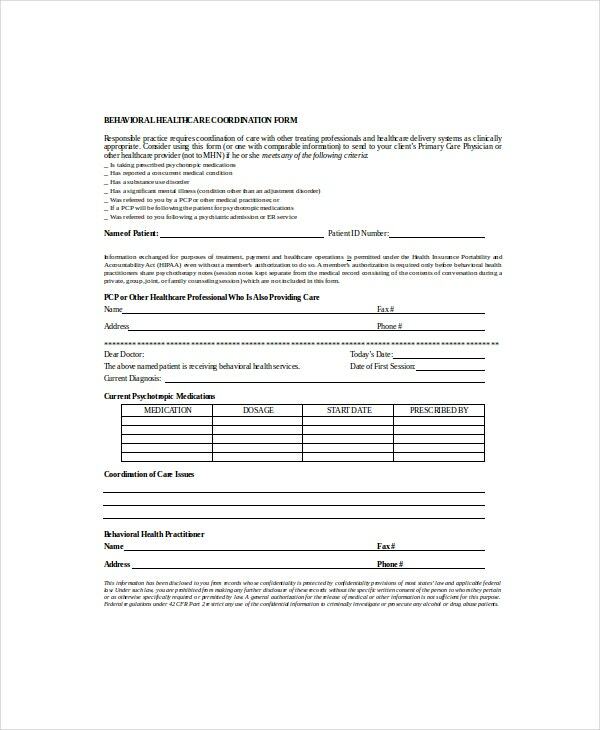 You may also see General Promissory Note Templates. The progress note includes the details of the allergies to the medicines and food items. The doctor would have a clear idea as to what medications should one give under such circumstances. The progress note is also useful for the insurance companies when you lodge a claim for reimbursement of the medical expenses. The progress note should be brief and should give concise information about the patient. It should provide this information to the doctor at a glance. The doctor would use the progress note to determine his line of treatment. The progress note should clearly mention the ailment as well as the course of medication. This would be useful to the patient when he lodges a claim with the insurance companies for reimbursement of medical expenses. The doctor note would be attending to hundreds of patients in a day. It would be humanly impossible for him to remember the details of each patient. 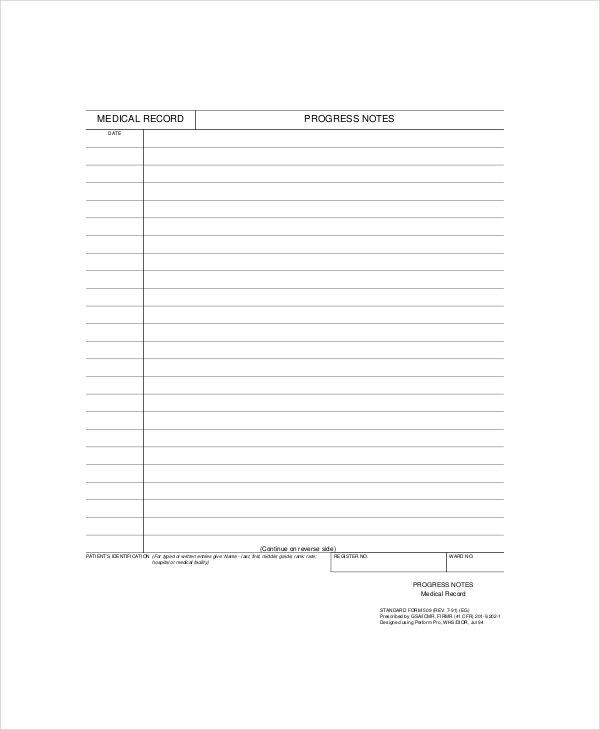 The progress note can serve as a refresher to the doctor by providing the information in a single sheet of paper. The progress note is a very important document from the point of view of both the doctor as well as the patient. The doctor would have first-hand information of the progress made by the patient by adhering to a prescribed line of treatment. 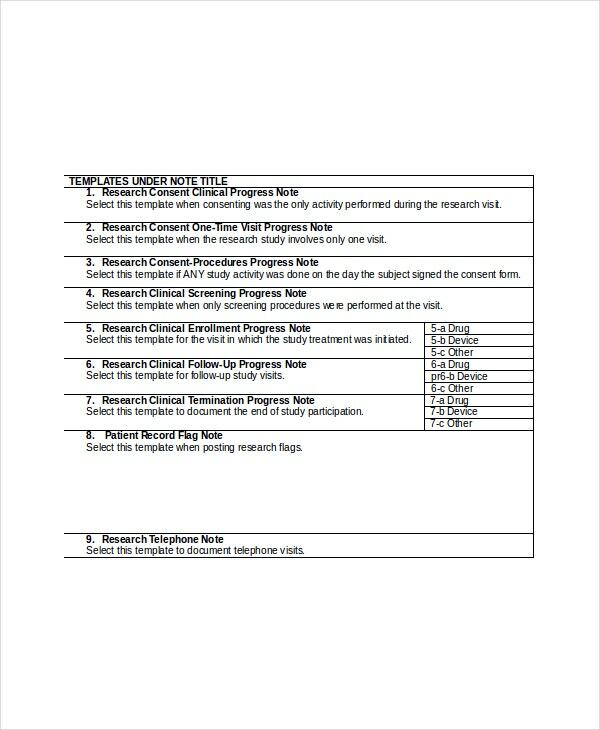 You can refer to the Soap Note template to have an idea about the content of the progress note. 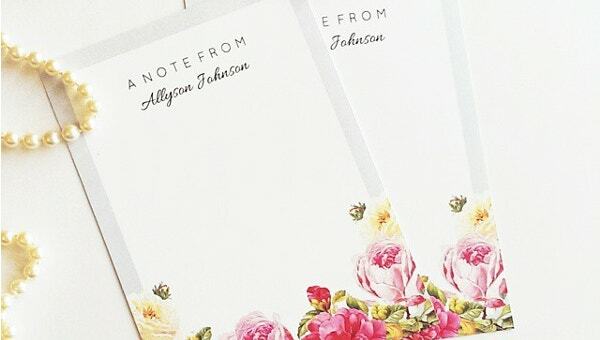 You may also see Transfer Note Templates.